Dr. Adam Swick is certified in Active Release Techniques (ART). 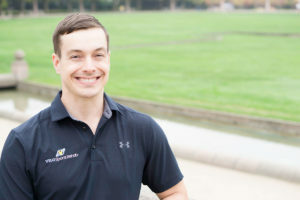 He was born and raised in the Pacific Northwest and completed his undergraduate degree at Western Oregon University prior to earning his Doctorate from the University of Bridgeport College of Chiropractic in Connecticut. Following graduation, Dr. Swick combined his passions of rugby, sports medicine, and travel in private practice as a chiropractor in the heart of Sydney, Australia. Dr. Swick utilizes the latest research in guiding his clinical approach to treating patients with gentle chiropractic adjustments, cutting edge soft tissue techniques, nutritional advice, and therapeutic exercises. Dr. Swick’s areas of clinical expertise include spinal injuries, disc herniation, sciatica, tendinitis, bursitis, and shoulder injuries. Outside of work you will see him and his partner Tiffani weight training, hiking, camping, and organizing their next international getaway.